A rich, artisan look interwoven with shimmering metallic and colourful threads. 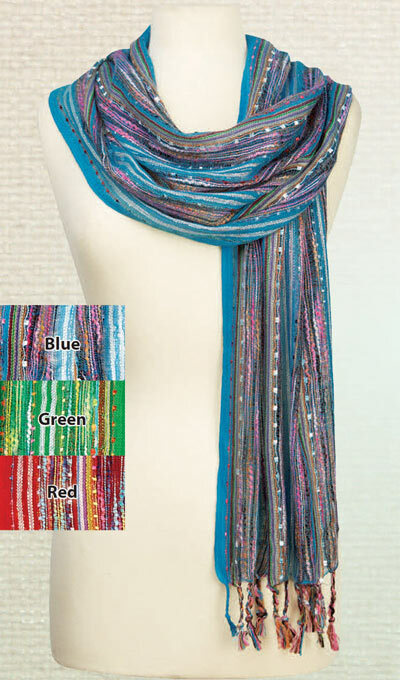 This Multicolour Scarf features hand-knotted tassels and a lavish length. Polyester. Gentle wash. Imported. 16¾" x 64".